Should there be a social media page for each franchise location? It seems you can’t have a social media conversation with a franchisor without this question coming up. Should each franchise location have its own social media page? Or are brand pages enough? Local pages and/or a brand page? Before we get into it, it’s important to frame up the question. When deciding if you should run local social pages it’s important to know this shouldn’t be in place of a brand page. Motorcycle and automotive brands feature a lot of ‘product and price’ on their brand pages. 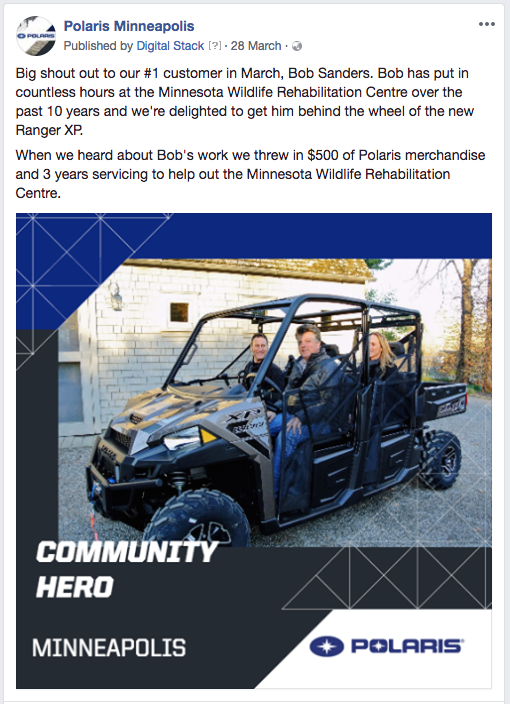 Local pages should be complementing them with the ‘local angle’; news of floor stock for test rides, organized riders’ club weekends and interesting local customer stories. Whether you’re on Facebook, Instagram or Twitter, there’s always a place for a brand page. The reason for that is simple. This is where many non-customers with a vague interest will go initially to see what you’re about. You want these prospects to see a polished view of your brand and what it represents. Those seeking out your local social pages are more likely be prospects who have been referred by existing customers, people that have driven by and want to get a feel for the local franchise, or existing customers looking for some inside scoops and a sense of community. We’ll expand on each of these points shortly. 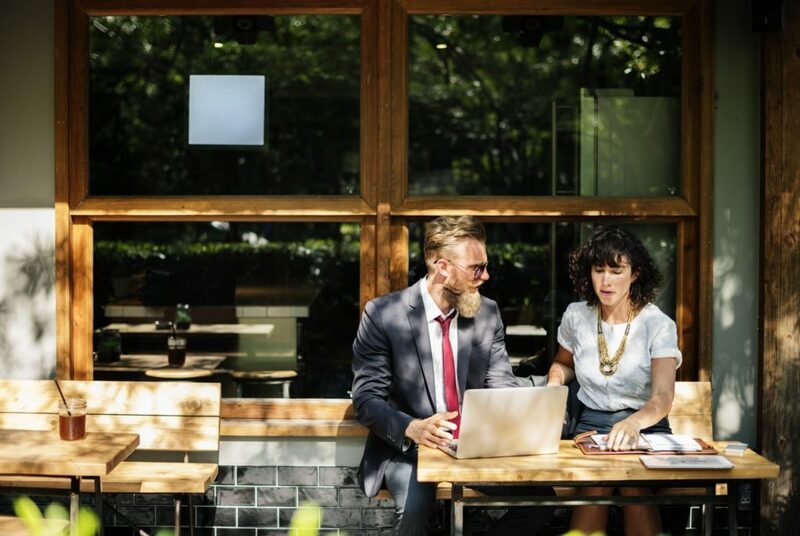 The key point is your brand’s main social pages and your franchise locations’ pages serve different purposes and speak to different audiences. Which brings us to the big question. Should your locations get their own social pages at all? The short answer is ‘yes’. There’s a host of reasons why local social pages work. But you’ll want to get on the front foot to address some risks too. Social media platforms, especially Facebook, favour local content. Facebook isn’t the be-all-and-end-all of social media, but it is the current number one and most outspoken advocate for local content. By design, it favours local content by pushing it out to more followers. As part of its statement around feed algorithm changes in early 2018, Facebook explicitly said it would support local content. It’s the staff and the customers’ stories that invariably gets the best engagement. CEO Mark Zuckerberg said that the platform will pursue “personal moments that lead us to connect more with each other”. It’s the people and the relationships you have with customers, staff and community that drive online interaction. So how much better do local pages perform on social media? Way better. In fact, on a per-follower basis, local pages gain over 450% more engagement than national and global brand pages, according to Digital Stack data from first quarter 2018. And other social platforms will surely follow suit. Instagram, the second most popular social platform, is Facebook-owned so that’s a given. The bottom line is local content gets greater reach. With greater reach comes vastly improved brand awareness and consideration. Which in turn serves to reduce cost-per-click on national digital activity. In nearly every franchise there’s a need to adapt local area marketing for the local catchment. Each location operates within a different demographic, faces local seasonality and has somewhat different competition. One national brand page just can’t speak to them all. Well, not without making everyone tune out to all the irrelevant messages. Real estate agencies are possibly the most obvious candidates for local social pages; their followers absolutely want and need locally-relevant content. A location in a beachside town might specialise in holiday rentals as investments. Those in an outer-suburban area will likely focus on owner-occupiers. Obviously what is interesting for one is likely to be irrelevant for the other. 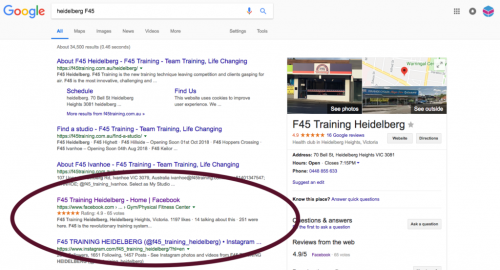 When searching for your local franchise locations, your social pages can show up in Search engines page one results. The reason for that is simple; they get clicked. People often like to check out your socials to get a more personal take on your brand and your location. They like to see how you interact with customers at the local level. Together with your official web pages, it forms a nice 360-degree view of the local brand presence. Facebook ratings and reviews are another primary reason why people will want to check out the local Facebook page. So make sure you’re eliciting favourable reviews and replying to any negatives ones. The social media pages of franchise locations are the perfect vehicle to talk to existing customers. The objective here is ultimately to derive more revenue out of them by making them spend more each visit, or to keep them as customers longer. You can achieve this in many ways. It might be simply by being more likeable. Perhaps it’s through promoting offers and deals, or referral promotions. Offering tips and tricks to help followers get more out of your product is another proven tactic. All these approaches are effective in creating a deeper bond with customers, one that keeps them coming back time and time again. The are some common reservations in running local social pages for each franchise location. Each has its merits, but they can be overcome if you have the right tools and processes. One of the top reasons not to give franchisees control over their own social media pages is loss of control. Or more to the point, concern that franchisees will post something inappropriate. Firstly, there are hundreds of thousands of franchise locations with control of their own social media accounts. So take comfort in that. Don’t underestimate franchisees acting out of self-interest. They’ve no desire to blow up their public reputation with a questionable social media post. 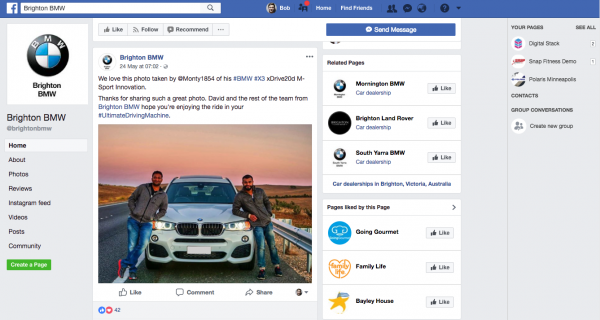 Do a web search for your local BMW dealership on Facebook. Now look for a local Snap Fitness on Instagram. They’re all there. And they’re fine. Secondly, set guidelines and expectations. But lead with encouragement. Congratulate those franchisees doing it well and share successes. Your team want this to work and the best way to drive the right behaviour is to show them how to get results. 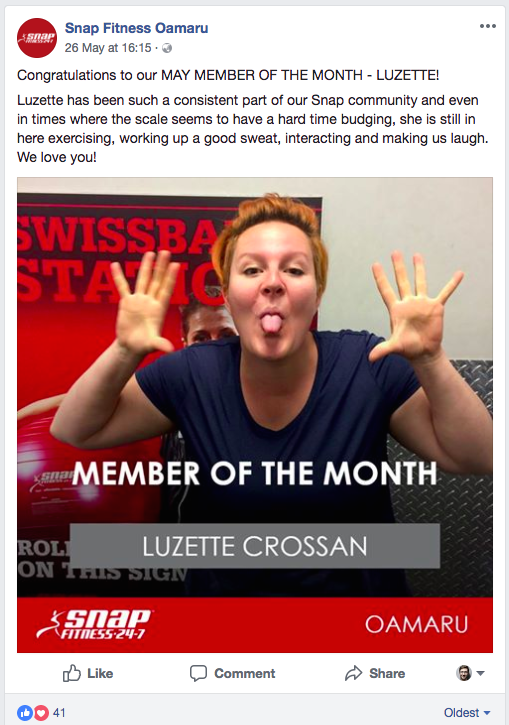 Your average franchisee isn’t a social media marketing expert. So if you give each a Facebook page to manage and no guidance or tools to help them, this thing could go in any number of directions. But in all probability, it will just result in a bunch of amateur-ish, ineffective content. Even big brands can get it wrong. 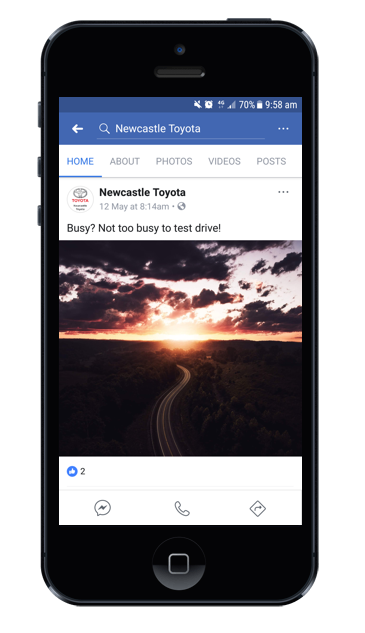 Toyota Newcastle’s Instagram post is barely identifiable as being Toyota and looks distinctly amateurish. More harm than good? You’re going to need a tool to keep things on track and on brand. Franchisees should use editable templates and be guided in the type of posts they make. Templates should be arranged by category to guide them; staff tips, customer success stories, humour, etc. And all branding and colour palettes locked down. That way everyone sticks to the script, albeit localised with all their great stories. The last big concern relating to localised social pages is non-active franchisees. There’s always going to be a small proportion of owners that don’t get it, don’t want it, or don’t have the patience to see online engagement translate to more revenue. For these guys, you’re going to want the ability to schedule content to their local pages on their behalf. Ideally, this content will be somewhat localised on each of the pages. Again, there are tools to help with this. One tactic we often see employed, but don’t recommend, is constantly sharing posts from the brands main page. It gets really one-dimensional real quick, and defeats the purpose of having local pages. The payoff for local social media pages for each franchise location is well worth the effort. By enabling an army of foot soldiers to deliver engaging, branded content across your entire market, franchises can gain a serious competitive advantage over the competition. From improvements in brand awareness and consideration, to lower cost-per-customer acquisition.